Wow! What a car! 500HP! Vapor Silver with Black stripes! 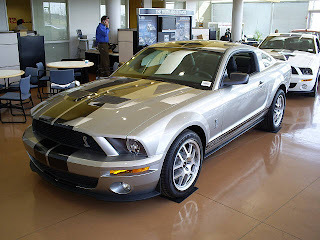 This is our last 2008 GT500!